Whether you are a seasoned pro 3D artist or a beginner trying his hands at CGI animation, having a natural artistic skill is a half the battle. The other half is won using a capable computer that can render 3D graphics and of course the 3D modeling software to show your creative talent. With the availability of so many promising 3D modeling applications in the market, it can get confusing as to which one is the best among the lot. 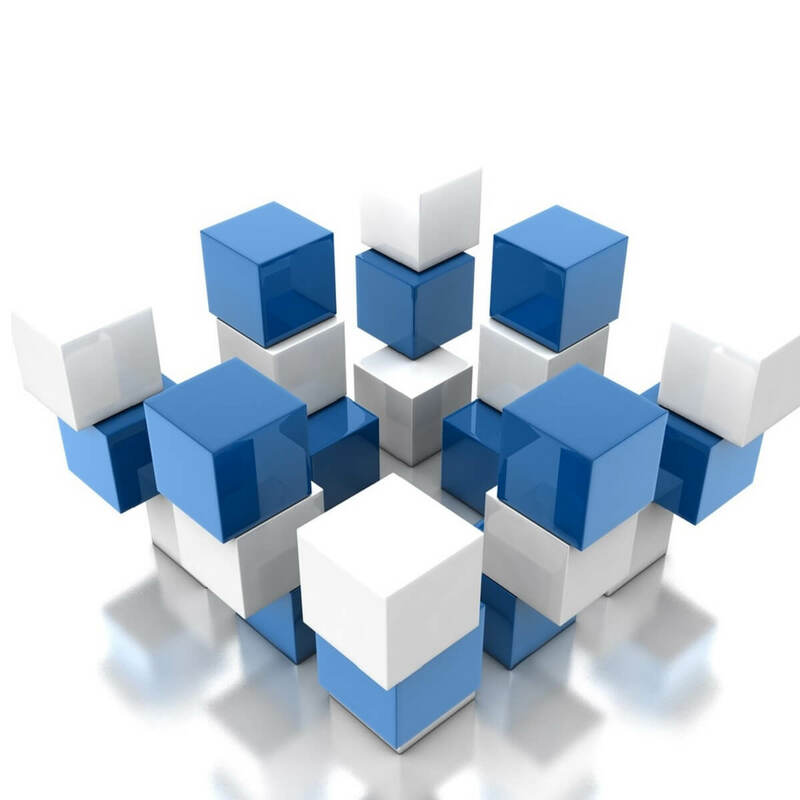 3D applications that are tutted as best by the professionals may not be the right choice for beginners and vice versa. Fortunately, the advantage of having a vast collection of 3D software is that each program offers something different to cater to the needs of a diverse audience. What are the best CGI software for 3D modeling and animation? In this article, we have jotted down the best CGI tools based on the features on offer and the ease of use to best suits your needs. Autodesk Maya is being used by many of the leading VFX and animation studios due to its vast collection of tools on offer. 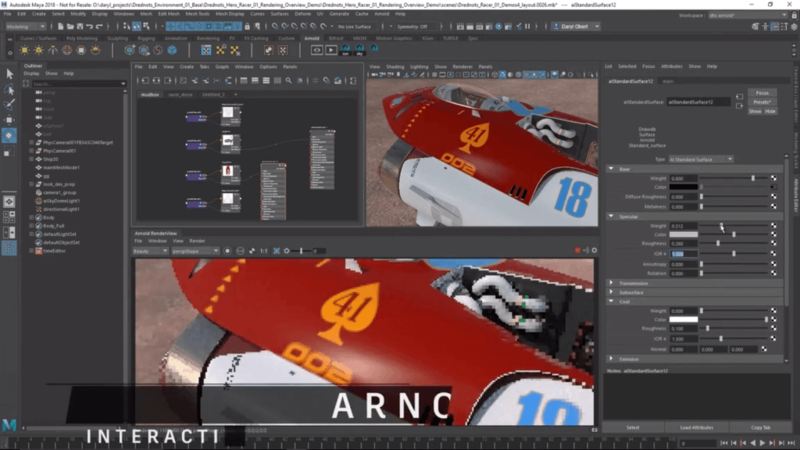 The latest version of Maya offers increased workflow and productivity with its improved user interface. 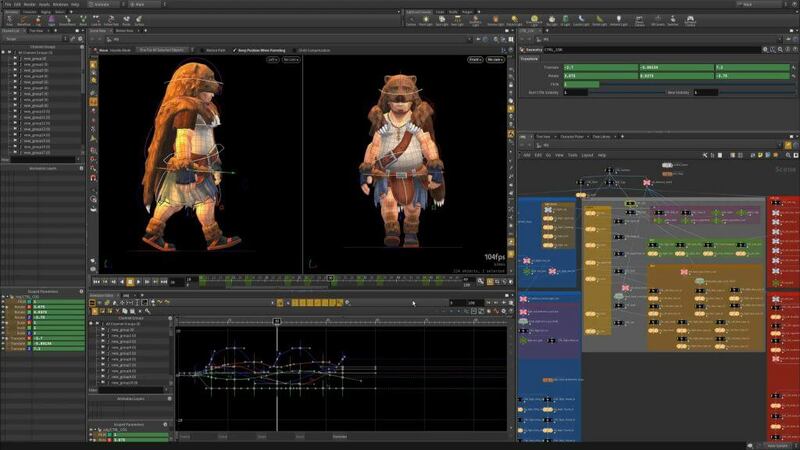 Maya enables you to create stunning 3D sets with rig playback and manipulation features. It can be used to create motion graphics for text, and flying logos, 3D animation with general animation tools like toolset for a keyframe, scripted animation and 3D modeling with the ability to sculpt and shape models. Arnold RenderView integration lets you view scene changes in real time including lightning and camera etc. You can further enhance the 3D models using brush-based grooming tools for accuracy in the styling of hair and fur. 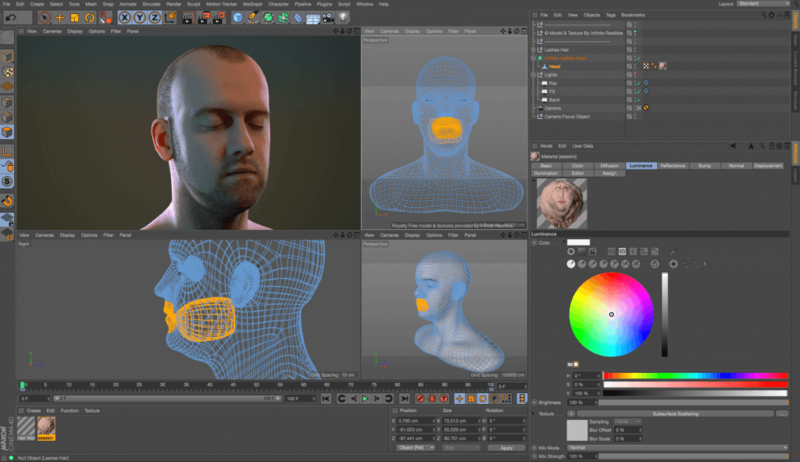 The 2019 version of Maya comes with new tools including UV editor interface, Clump Modifier, After Effect live link to work with Adobe program and make changes in real time along with Additional MASH toolsets. Autodesk Maya can be a bit overwhelming for the beginners as it involves a learning curve. But, for those willing to invest time and money, Maya is among the best CGI software in the market. 3DS Max is a 3D modeling and animation software that comes from the same house as Maya, but Autodesk has developed these tools for a different purpose. While the Maya offers exceptional animation capabilities, 3DS Max shines when it comes to creating massive worlds in games and engaging virtual reality experience. 3DS Max enables you to create and define a variety of environments and detailed characters along with high-end rendering tools like Arnold, V-Ray, and Iray to create stunning visuals for your project. 3DS Max is also compatible with other Autodesk software including Inventor, Revit and Fusion 360 and other third-party application like Unity and Unreal real-time engine to create video game animation. The user interface can be less intimidating for the beginners as it comes with a huge library of different modifiers to make the modeling process easier. Autodesk 3DS comes at a cost and is a made for professionals. 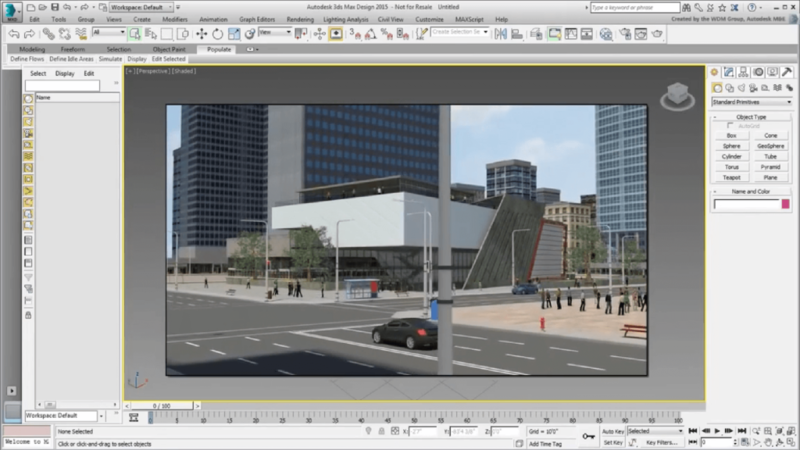 For students, Autodesk offers a free version of the same for educational purposes. For those who want the best of 3D art and effects tools and does not care about the learning curve but wants something that costs less than Maya should have a look at the Houdini by SideFX. Houdini is used by many of the digital and game studios to create open world games and simulate audiences using powerful and compelling visuals. Houdini also supports Virtual and Augmented Reality and offers tools to create and manage the content used to fill these virtual worlds. The software uses a node-based workflow which means every action is stored in a node which is later wired into the network to perform repeated actions with different results. Houdini is a complex software and involves a steep learning curve. 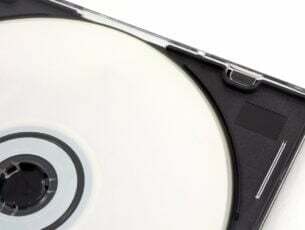 While the student version of the same is free to use the commercial version offers different price structure to individual artists and studios. 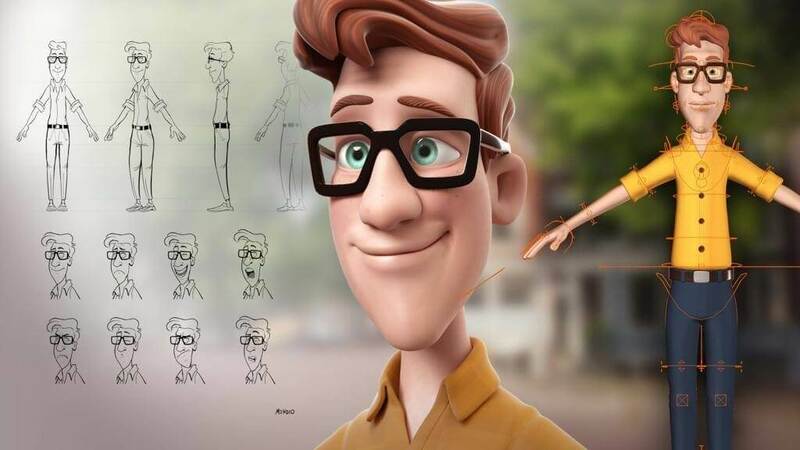 If you are looking for a free alternative to the above mentioned expensive CGI software, then Blender is the right program to start your career in animation and 3D Modelling. Blender has been around for a while now, and despite the fact that is an open source project it is being backed by some well-known artists in the CGI industry. Blender supports all the functions required to create 3D concepts including modeling, rigging, animation, simulation, rendering, compositing and motion tracking along with video editing and game creation. It uses Cycles render engine which is an in-house path-tracer engine that offers real-time viewport preview, VR rendering and uses hardware-based GPU or CPU rendering based on the requirement. Blender also supports modeling, sculpt, UV to create stunning models with 3D painting with texture brushes and masking. There are other advanced tools for animation and rigging with a built-in object tracking feature. Blender is a free software and offers tons of 3D modeling tools for professionals and beginner. 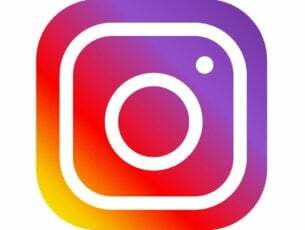 However, the learning curve is steep and the users need to dedicate a good amount of time to understand the working of the tool completely. If you are considering your career in 3D, Cinema 4D is one of the top choices. It is a complex and expensive piece of software but offers everything under one roof. Whether you want to create motion graphics, architecture design, video games or use VFX in movies, Cinema 4D comes loaded with tools that are essential without overwhelming the user. This CGI software has been used by several Hollywood studios to give VFX effects in films. It is also one of the easiest 3D animation solutions available for both professionals and beginners. The intuitive user interface backed by excellent community support can make it easy to get started and be able to produce a stunning result in time (of course based on your skills). To further improve the workflow, Cinema 4D is tightly integrated with Adobe After Effects, Adobe Illustrator, Auto CAD, and other 3D and graphic illustration applications. Cinema 4D is not cheap, but thankfully it does come with a perpetual license for individuals and graphics studios along with other options. We recommend you to begin with the 30+ days of the free trial using the demo and then decide if you want to spend money on this software. From creating 3D shoe concept to the terrifying monsters, Modo with its flexible and powerful set of 3D modeling tools can create any concept art you want from scratch. 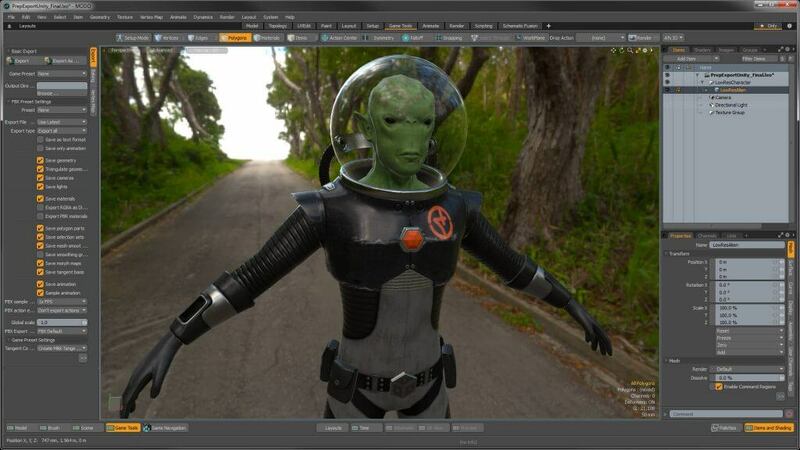 The latest version of the Modo comes with enhanced model-bashing tools for better workflow along with features like VR viewport integration and improved animation capabilities. The tool has become popular among digital artists in the last few years mainly for its well-implemented toolsets as well as intuitive user interface. Modo offers essentials 3D modeling features like MeshFusion Boolean tools, brush-based sculpting tools, layer and nodal-based shading system for creating complex concepts with ease. It also comes with photorealistic rendering tools along with the ability to review textures without waiting for a final render. It also comes with advanced camera projection tools with 360-degree video support, rigging tools, 3D animation framework with high customization options, social effects and the ability to add realistic hair and fur to the concept. Modo is among the best 3D modeling software that is not only powerful but also intuitive to use and learn. However, the price tag may be a little hard to justify for some people. 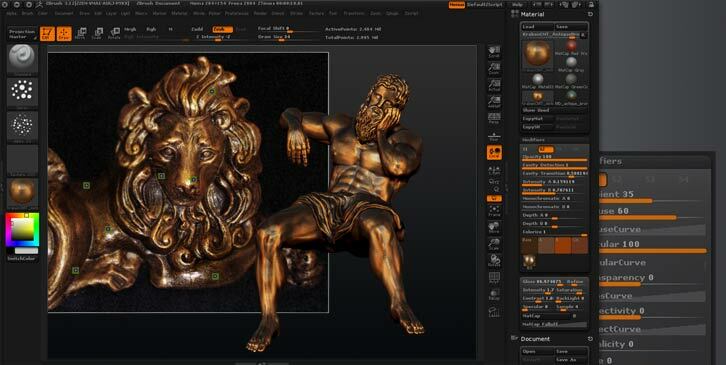 If you want to create a 3D printed version of your artwork, ZBrush is the tool for you. While other 3D modeling software does support 3D printing, ZBrush is the popular choice among 3D printing artists. ZBrush is a modeling and sculpting tool offering 3D modeling tools to users. The intuitive user interface makes it one of the easiest 3D modeling tool to work with. To better facilitate the interaction of 3D models and 2D images the ZBrush menus offer a non-linear and mode-free method. It can help you create realistic renders with atmospheric effects. The new version of ZBrush comes with Sculptris Pro, a dynamic tessellation sculpting workflow, Project Primitive, a deformer to blend multiple pieces of geometry and Polygroupit that offers a new way of creating polygon grouping. ZBrush also offers other essential tools for base mash generation, model sculpting, texturing, render and illustration. It is also very compatible with other graphics suits including Photoshop, Maya, Cinema 4D, and Modi etc. ZBrush is a highly sophisticated tool with powerful new features and improvements with no upgrade cost for future releases. If you are just getting into the world of 3D modeling and CGI, ZBrush can be a good choice for beginners as well as professionals. Apart from Blender, there are quite a few other free 3D modeling software offering powerful tools, and one of them is Daz Studio. It is a 3D modeling, render and animation software that focuses on creating home human-like realistic figures. It is also among the user-friendly 3D modeling software that can be used by both professionals and beginners. As for what can be done with Daze Studio, you can create 3D morphing, posting and animation rendering using the GPU power to create photorealistic figures. The Daz Studio also offers access to its library of contents that includes pre-made items that can be morphed as per user need. The project can be converted and exported to the Maya from Daz Studio as well. Daz Studio can be connected to the Daz Store to browse the available products and make purchases. Sculptris is from the makers of ZBrush but is a free 3D modeling and rendering tool marketed as the best beginners tool by the company for digital artists. While Sculptris does not offer the advanced features of ZBrush, it comes packed with basic features to create base level 3D models that can be further enhanced with ZBrush when you choose to upgrade. Sculptris comes with basic ZBrush features like Dynamic Tesselation, Symmetry Mode for automatic symmetrical sculpting on both side of the models, sculpting brushes with brush optimization using preloaded pattern, mask system, projection painting, and automatic UV creation features. The simple user interface and less complexity of the tool means even the beginner can start using the tool in no time. However, as you learn you will need to upgrade to ZBrush for advanced features. Houdini Apprentice is from the makers of Houdini which we have mentioned earlier in this article. While the FX version of Houdini costs a fortune, the good folks at SideFX have developed a free version of the same 3D modeling tool but strictly for non-commercial use. There are a couple of other limitations as well. 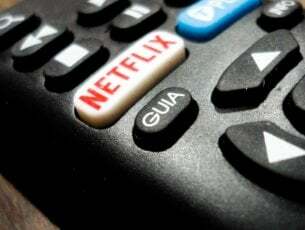 The file resolution is restricted to 1280 x 720, and it uses its own file format .picnc. Usage of any other format will produce the result with Houdini watermark. Although, you can remove the restrictions using Houdini Education program. Houdini Apprentice is an excellent tool for anyone who wants to start learning 3D modeling tools but don’t want to spend money during the learning process. While we have listed all the best and industry standard 3D modeling software in this article, it is important that you take all of these tools for a spin to find the best tools according to your requirement. Do let us know your favorite tool from the list or if you think we have left a deserving CGI software off the list in the comments.